Click Edit next to the desired Event. 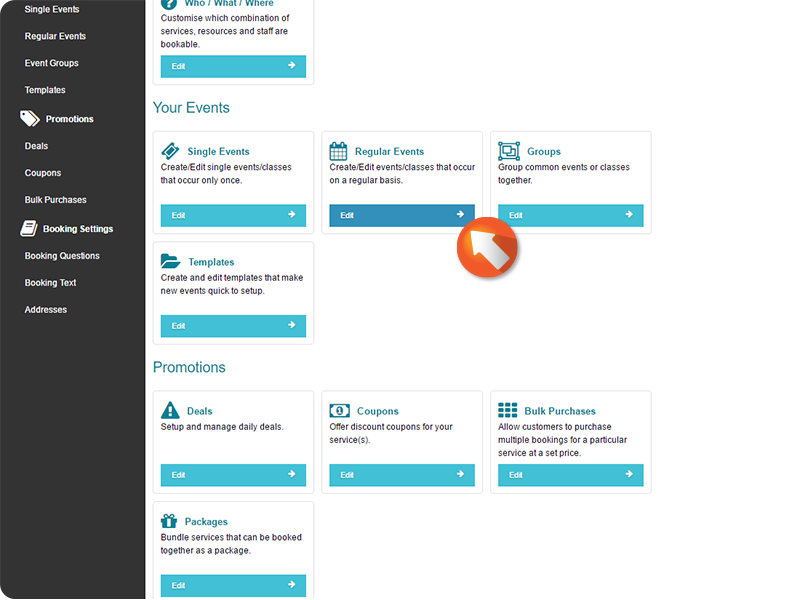 Click Create New to create a new Event. 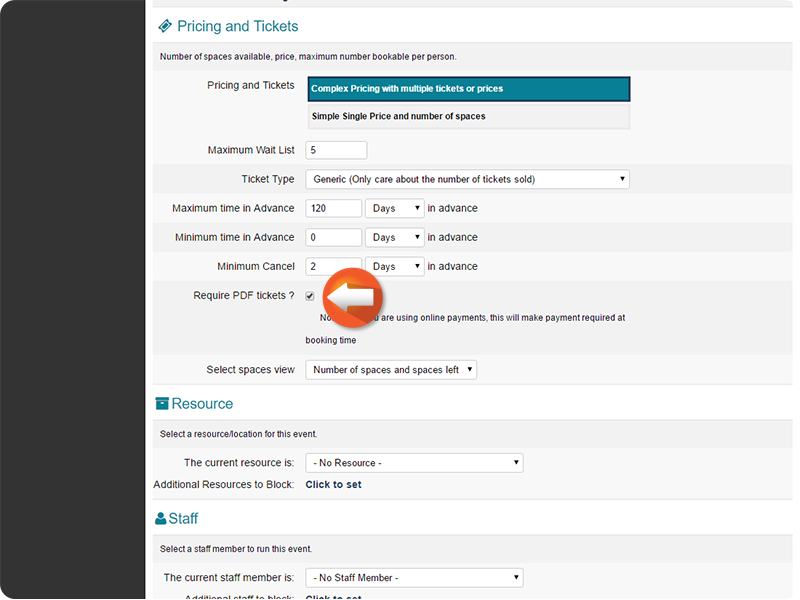 Scroll to the Pricing & Tickets field. Simple Single Price tickets are sold for a set price and have a set limit of tickets that can be sold. Complex Pricing allows you to set multiple ticket levels for different costs, and set limits for each group of tickets, as well as total tickets sold. 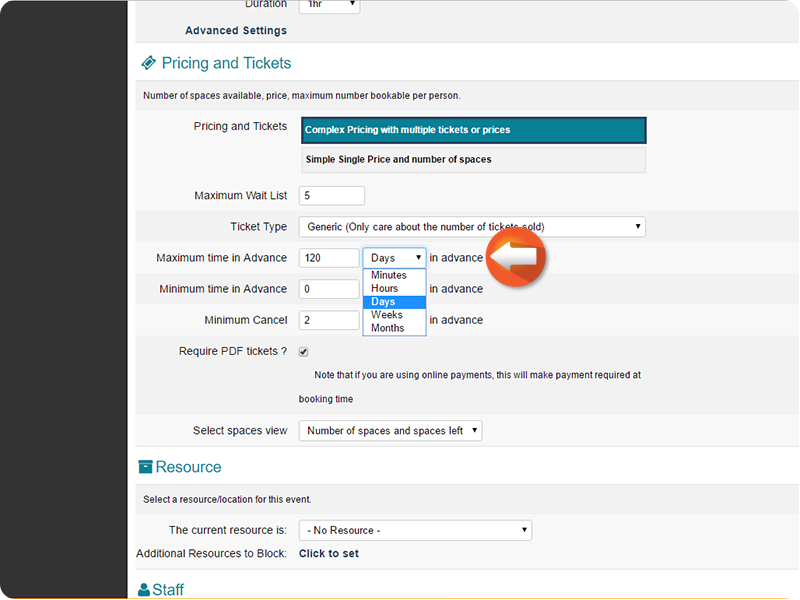 This tutorial selects Complex Pricing with multiple tickets or coupons. Tickets can be bought in bulk, or require separate information entered for each ticket. You can also require an email address for each separate ticket. 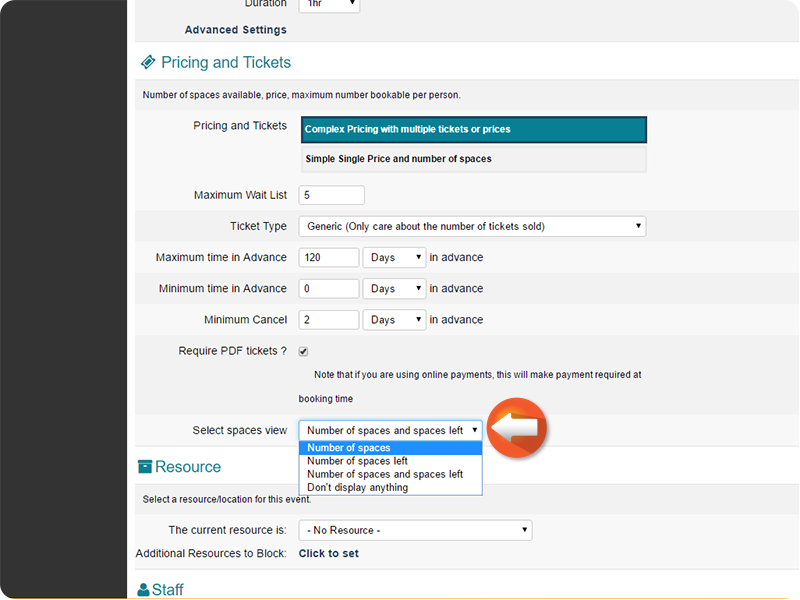 Use the Ticket Type dropdown menu to select the desired ticket option. 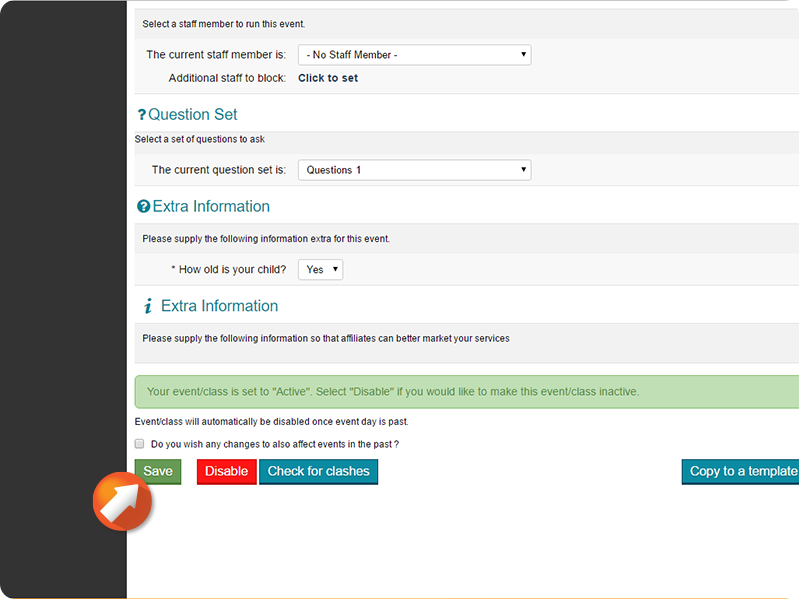 The Maximum time in Advance field select how far in advance your Customers can purchase tickets to the event. The Minimum Cancel field selects the minimum time in advance that Customers can still cancel their tickets. 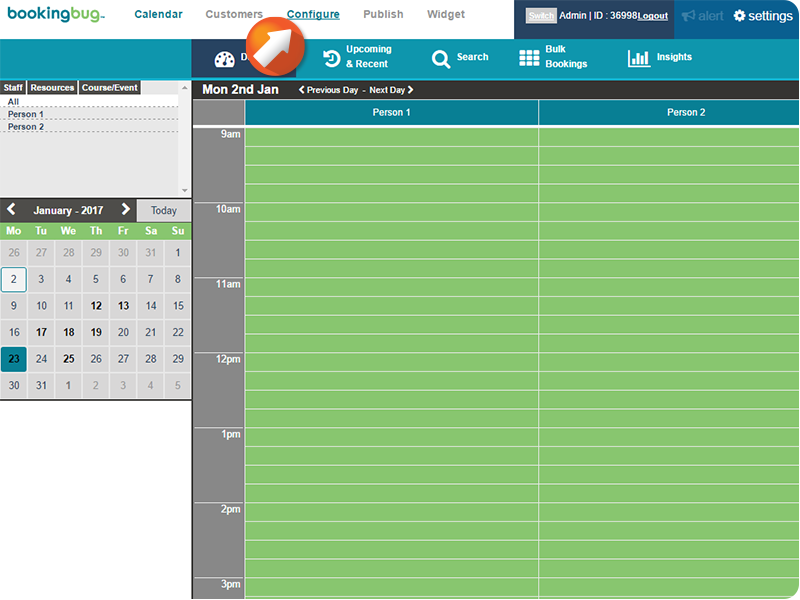 Use the Dropdown menus to select by minutes, weeks, hours, or months. 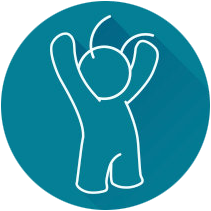 Use the Require PDF checkbox to toggle whether tickets are used in PDF form. 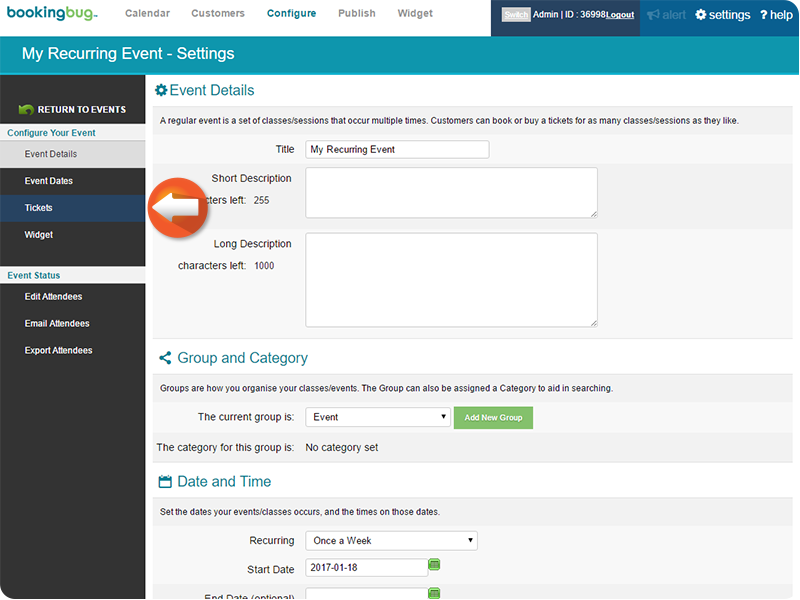 Toggle whether the amount of spaces left at the Event is visible to your Customers with the Select space view dropdown menu. Edit Pricing & Ticket details as desired. Scroll to, then click Save / Create. 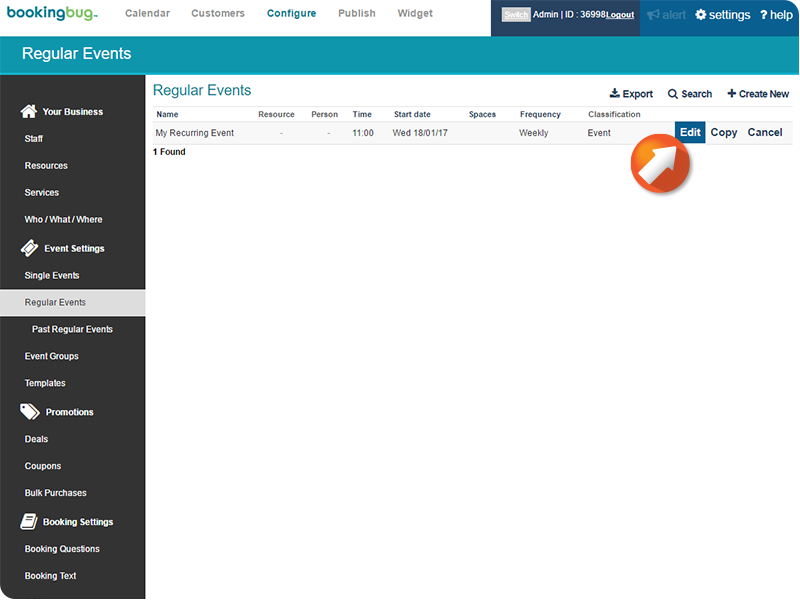 To view and edit Complex ticket settings, access the desired Event, then click Tickets in the lefthand column. 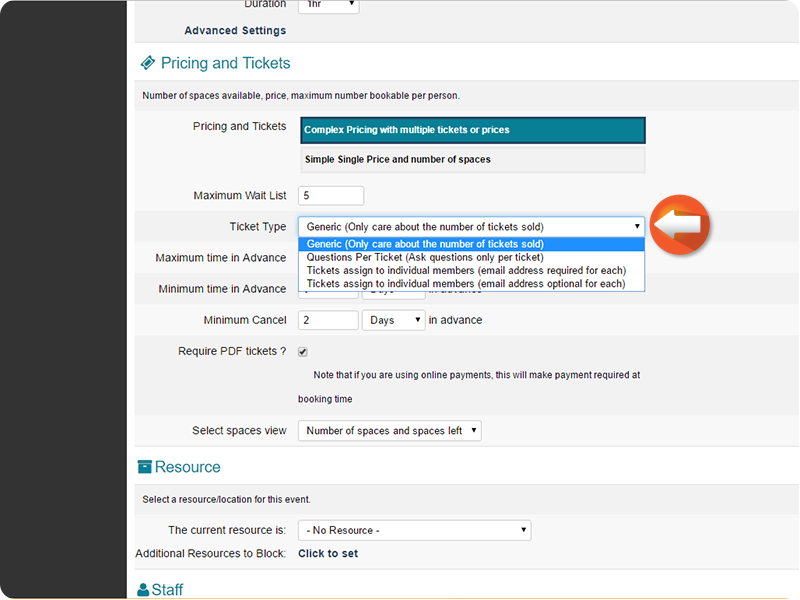 See the 'Complex Ticket settings' article for additional instruction on Complex tickets.